By: Ana Marisa Cambel & Belen L Dofitas, MD. 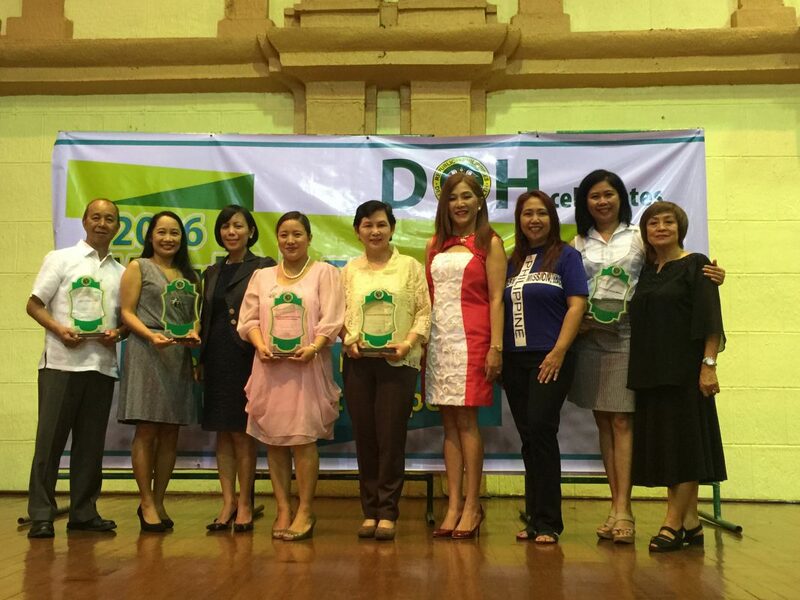 On February 1, 2016, the Department of Health recognized Philippine Leprosy Mission (PLM) as one of its Partners for Leprosy Control. Other organizations included Culion Foundation, Novartis Foundation for Sustainable Development, Psychiatric Nurses Association of the Philippines, Philippine Dermatological Society, the World Health Organization, Sasakawa Memorial Health Foundation, and the Coalition of Leprosy Advocates of the Philippines. The plaque was received by PLM President, Dr. Belen Dofitas, and Program Director, Maris Cambel. 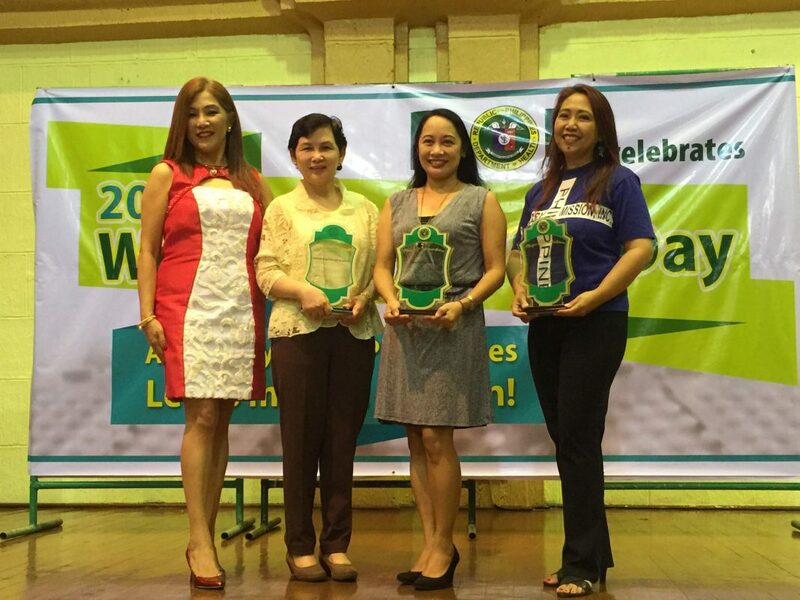 Mrs. Maria Diaz, PLM board member, was also in attendance. In celebration of Leprosy Week, Dr. Dofitas reached out to a wider audience through local radio and television interviews about leprosy and the advocacies of the Philippine Leprosy Mission. 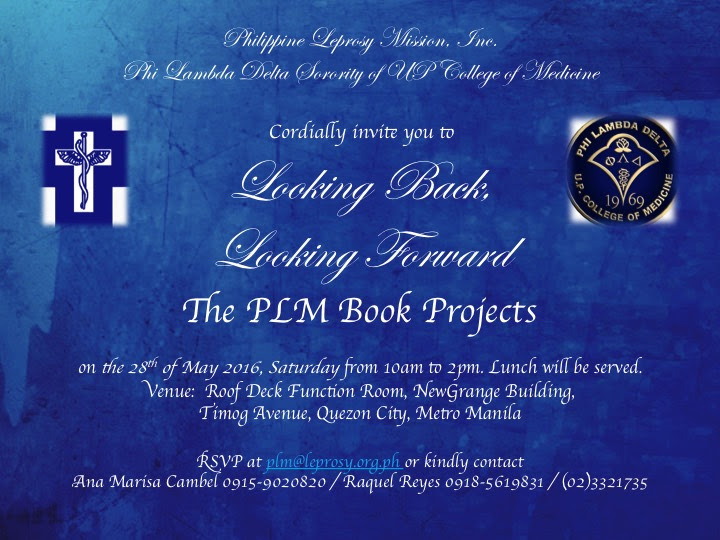 On May 28, 2916, PLM launched two book projects at its office in the NewGrange Building, Quezon City. 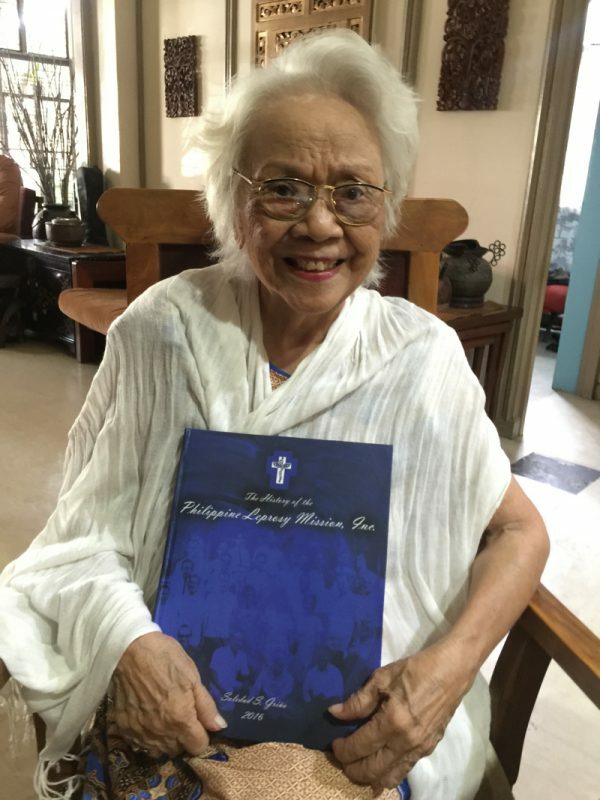 The first book entitled “The History of Philippine Leprosy Mission” was authored by Mrs. Soledad Griño, a founder and former Executive Director of PLM. 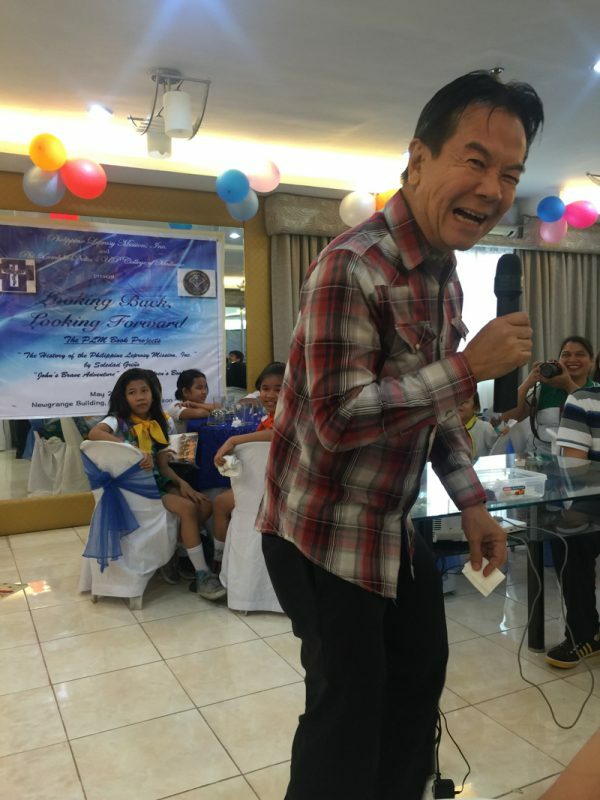 The second book launched was for children, entitled “John’s Brave Adventure: Leprosy, you can’t defeat me!”. 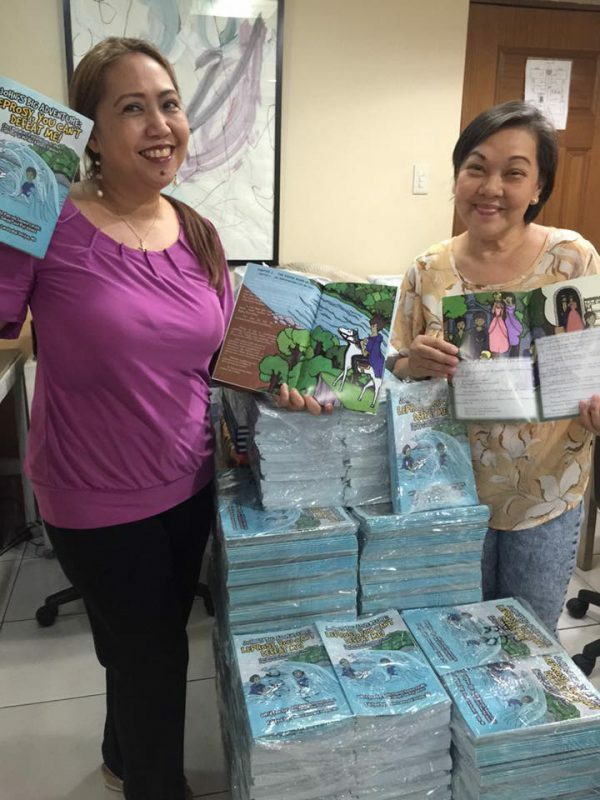 The children’s book was the product of a collaboration of PLM and the Phi Lambda Delta Sorority of the University of the Philippines, College of Medicine. On June 13, 2016, the Philippine General Hospital (PGH) Hansen’s Club produced themed shirts featuring a “L” shaped palm print in the color red. This project was accomplished by the PGH- Section of Dermatology Hansen’s resident physicians, with the guidance of Dr. Belen Dofitas. It aims to raise awareness and fight stigma against those affected by leprosy. Proceeds of t-shirt sales are for the benefit of the PGH Hansen’s Club. 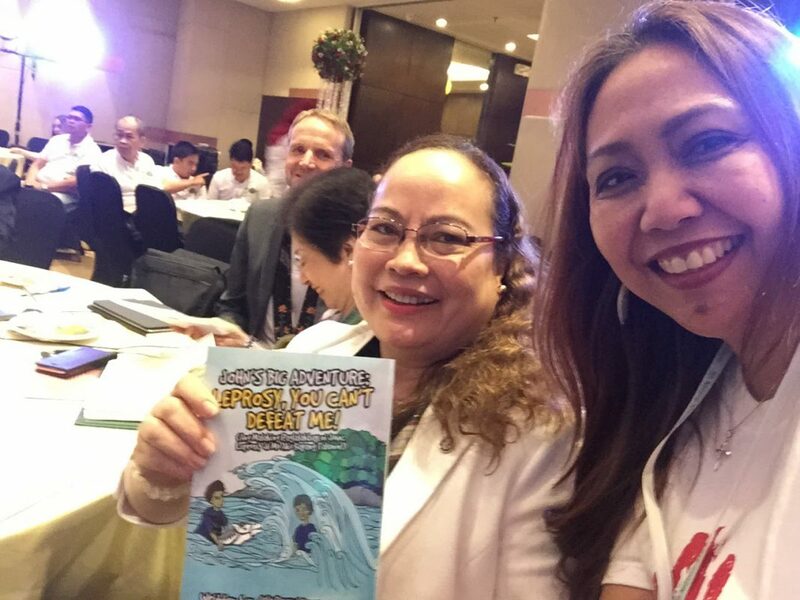 On November 3-4, 2016, the Annual Convention of the Philippine Dermatological Society was held at the EDSA Shangri-la Hotel where PLM was able to promote its active projects such as the book entitled “The History of Philippine Leprosy Mission” and the children’s storybook called “John’s Brave Adventure: Leprosy, you can’t defeat me!”. The Hansen’s Club themed T- shirts “#stopleprosystigma” were also sold at the event. 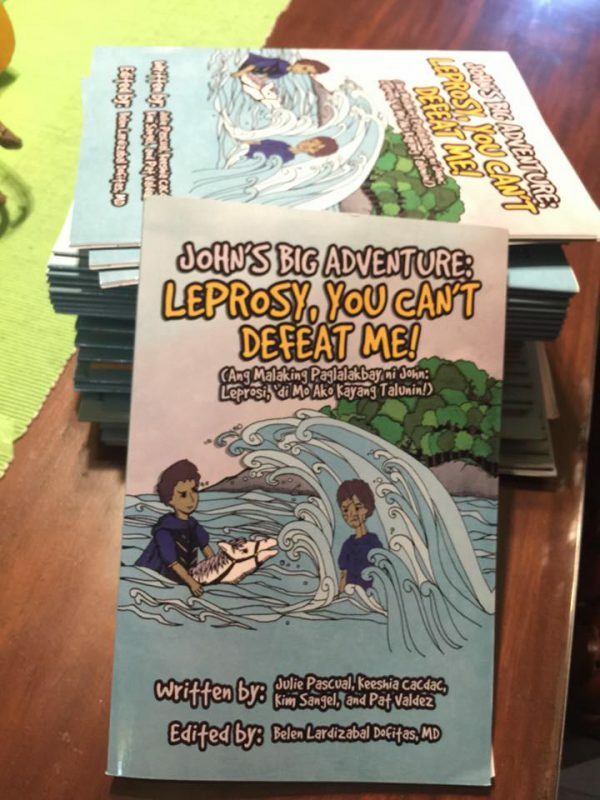 On December 23, 2016, the first 3,000 copies of the leprosy storybook for children entitled “John’s Big Adventure: Leprosy, You Can’t Defeat Me!” were printed, courtesy ofthe CS Foundation through the help of Dr. Ron Paraan. The story is about John who goes on a mission to find his missing brother and learns more about leprosy along the way. The story is written in English and in Filipino, with Grades 4 students and higher levels as its target audience. 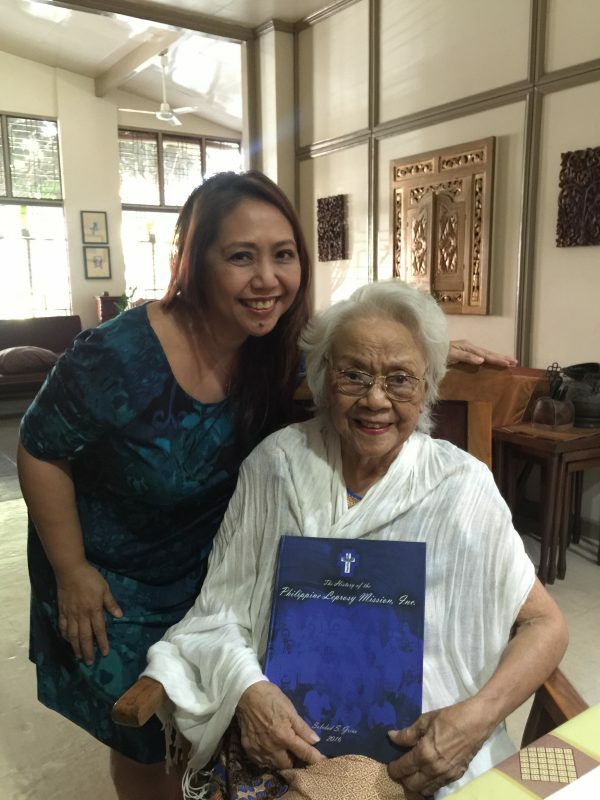 This storybook is a collaboration of the Philippine Leprosy Mission and the Phi Lambda Delta Sorority of the University of the Philippines College of Medicine. Sponsorships for copies of books that will be donated to select public schools inleprosy- endemic areas or to the donor’s choice are welcome (PHP 250.00 per copy in multiples of 10, ex. PhP 250 x 10 copies= PhP 2,500.00). Large volume sponsorships areneeded to provide a copy of the book for each student. Corporations are invited to sponsorthese book donations. In January 2017, Dr. Belen Lardizabal Dofitas launched a research project entitled “The Epidemiologic Status of Yaws in the Philippines: a nationwide survey and clinicoseroprevalence study”, commissioned by the Department of Health- Health Policy Development and Planning Bureau. This took place in 3 provinces of Mindanao: Maguindanao, Sultan Kudarat and North Cotabato. This was the first epidemiological study on yaws since the eradication campaign in the 1950s. On June 30, 2017, the project was completed. The study detected and confirmed active and latent cases of yaws. The findings of this research led to the conclusion that the Philippines has not eradicated this disease, and remains endemic for yaws in the Liguasan Marsh Area. On February 10, 2017, a radio interview was conducted with Dr. Jimmy Galvez Tan at the local station dwww774. 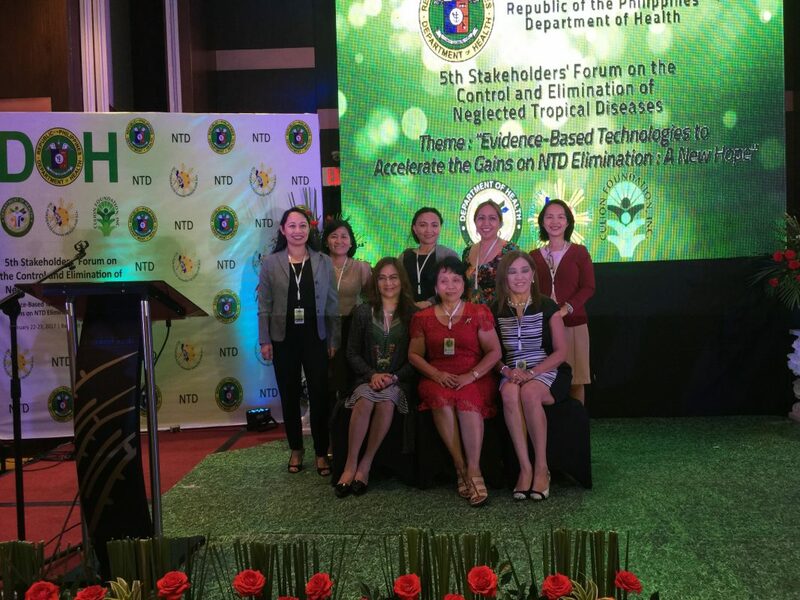 On February 23, 2017, the 5th National Stakeholders Forum for Neglected Tropical Diseases (NTD) was held at the Bayfront Hotel-Cebu City. Dr. Belen Lardizabal Dofitas was in attendance to interact with partners in health and promote the storybooks of PLM to Health Secreatary Ubial. She was able to discuss the results of her research study on Yaws, and established a network with agencies to support the efforts to control leprosy and yaws in the Philippines. On March 21, 2017, Dr. Belen Lardizabal Dofitas along with Maris Cambel conducted an orientation on the project entitled Partners in Leprosy Action for the Department of Health- Cordillera Administrative Region in Baguio. On June 21, 2017, PLM’s project entitled “”Partners In Leprosy Action (PILA): a community skin health strategy as a combined approach to detecting skin-related Neglected Tropical Diseases (NTD)” was selected as one of the top 5 project proposals for Community Leadership by Galderma Company’s SkinPact Awards (Asia-Pacific) 2017. There were 105 qualifying entries from 12 different countries in the Asia Pacific Region. Online voting by the international dermatology community ran from June 18 to September 17, 2017 and an expert panel of judges voted for the best projects. On November 7, 2017, the Galderma SKINPACT Award for Community Leadership (Community Vote) along with $10,000.00 was given to PLM for PILA. The project was a modification of the original PILA strategy used by PLM to improve efforts to control leprosy. The new project included public awareness, detection and treatment of other NTDs, such as yaws, lymphatic filariasis, mycetoma, cutaneous leishmaniasis, Buruli ulcer, and onchocerciasis. In October 2017, Partners in Leprosy Action (PILA) was launched and conducted in 3 municipalities in selected provinces that were endemic for leprosy in 3 regions (Cordillera Administrative Region, Region 1, Region 3). The activities were funded by the National Leprosy Control Program- Department of Health. The local government units, with the guidance of PLM, adopted the PILA strategy for leprosy control. The Department of Health has committed to funding this project from 2017- 2019.